This entry was posted on 2012-11-04, 07:26 and is filed under Electronics Workbench. You can follow any responses to this entry through RSS 2.0. Both comments and pings are currently closed. When we throw something out, it’s completely used up… maybe a couple of times! Is this a good time to consider alternative, exotic battery chemistry? Various sorts of lithium primary cells? Plain old carbon-zinc? Seal an absorbent pack in there, maybe? Heck, I can’t even seal desiccant in the fireproof safe in the basement! 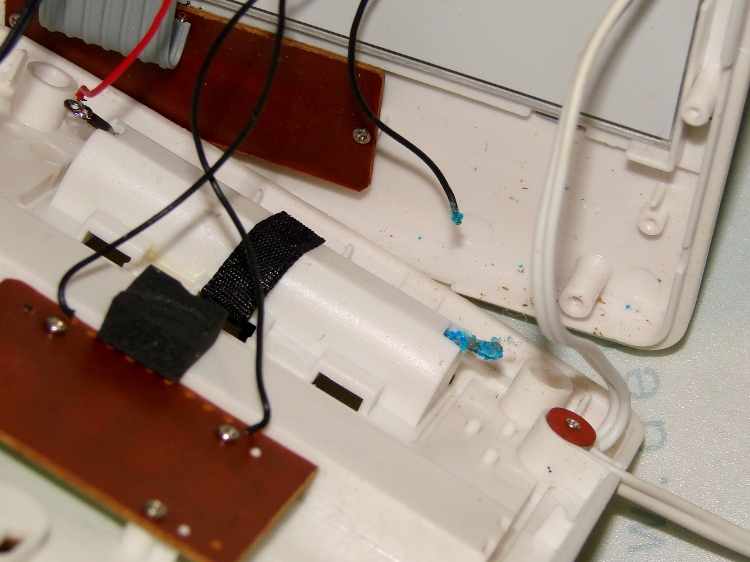 As nearly as I can tell, though, alkalines corrode everything from the negative terminal on out after the potassium hydroxide eats its way through the sealant: damp corrosive goo begins wicking along the battery contact and wires. Maybe atmospheric humidity aids-and-abets the problem, but not by very much. My line of thinking is sort of “carbon-zinc has a shelf life on the order of a decade, so if the draw is low enough then this should work OK. Just remember to change the batteries during presidential elections…” Of course, I could be totally off in space here. I’ve just had enough problems with alkalines over the years to start to wonder. Is it just me, or have they been getting worse? Eh… never mind. Decent shelf life, but basically dissolves itself as it discharges. Bad. Uggh. Will read application notes more carefully before replying in the future. It seems that they still charge quite easily, but the seals will degrade quite easily. I was once able to get a resting recharge over 2.0v+ (maybe 2.1?) but now, it seems the seals will blow even if I pushed it to 2.0v “under charge”, where before I would push well over 2.25-2.3 “under charge” with no problems. I even tried to go maybe 1.8 or 1.9, and the darn things would still leak. Seems the seals are quite junky now. Before, It took A LOT od charging to make it leak. Like pushing well over 2.5V on a good alkaline. I always was able to push 125% on any battery, over fully charged “resting voltage”. Now I cannot even get up to “resting Voltage” on ANY Alkaline brands. Not even close! They all leak, and many seem to leak in normal use. The moral of the story is, BUY RECHARGEABLES!! !